Hardcover, 10.25 x 12.25 in. / 432 pgs / 375 color / 30 bw. Richard H. Axsom’s meticulous and enlightening catalogue collects almost forty years’ worth of Frank Stella’s printmaking work into a book that... clocks in at over 400 glossy pages and strives to let each print have its moment in the spotlight visually and historically. 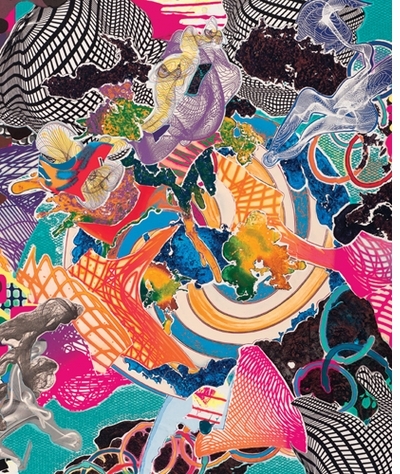 The acclaimed 432-page catalogue raisonné of Frank Stella's prints, featuring more than 400 reproductions. In addition to his achievements in abstract painting and sculpture, Frank Stella has also made major contributions to the history of the modern print. 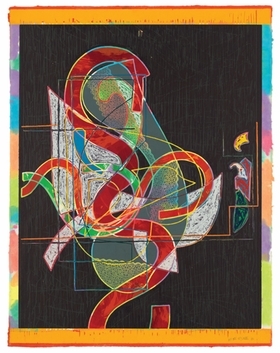 An exploration of the artist’s innovative use of the medium, Frank Stella: Prints reveals the intimate relationships between Stella’s prints and his works in other mediums, demonstrating how Stella blasted a hole in the traditional tools and aesthetics of printmaking with works of compelling complexity and beauty. Frank Stella: Prints registers in chronological sequence more than 300 editioned prints, reproduced in full color, including works in series and portfolios. Related works in other mediums--paintings, metal reliefs, maquettes and sculpture--are also illustrated for comparison. Complete documentation of each print offers a privileged insight into the creative process behind these works of art. An introductory essay, prefaces to each series and comments on individual prints provide background information, analysis and interpretation. Frank Stella: Prints also features an illustrated chronology, a glossary tailored to Stella’s practice, a bibliography and an index. Soon after arriving in New York in the late 1950s, Frank Stella (born 1936) came to prominence with his striped Black Paintings and shaped canvases. His early painting project reduced the medium to its most fundamental elements and introduced a key concept of Minimalism at an early date: “What you see is what you see.” But it was not long before Stella, a restlessly experimental worker, abandoned austerity for brighter colors, irregular shapes, rougher textures and gestural brushstrokes. 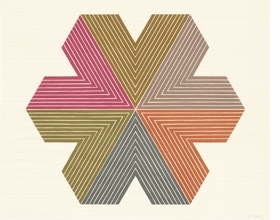 Featured image is reproduced from Frank Stella: Prints. The results, as you would expect, are beautiful and complex, and attest to his compelling longevity as an artist. Wednesday, April 20, Phillips auction house hosted influential American artist Frank Stella speaking about his career and history as a printmaker, alongside a signing of the new Catalogue Raisonné of his prints. Stellla was joined by Richard H. Axsom, author and senior curator at the Madison Museum of Contemporary Art; and Jordan Schnitzer, collector and publisher of the book. 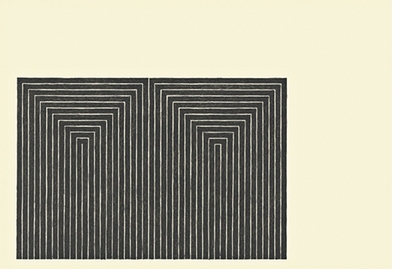 In addition to the making of the book, the discussion, which can be viewed below, explores the artist's experiments in redefining the traditional print - from his early minimalist geometric abstractions to the baroque quality of later works. FORMAT: Hbk, 10.25 x 12.25 in. / 432 pgs / 375 color / 30 b&w.